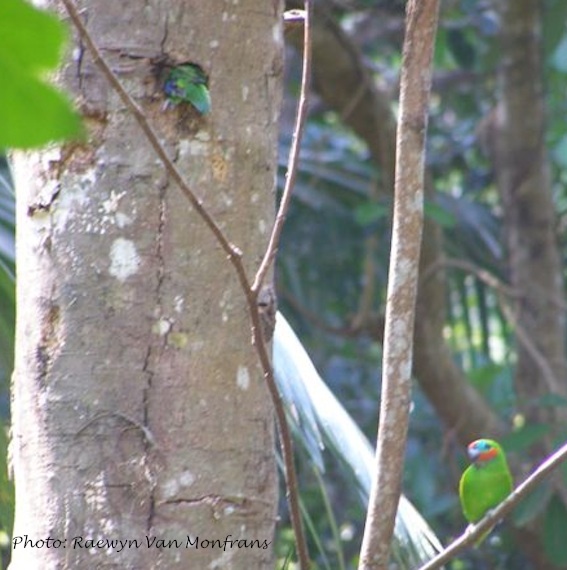 This short-tailed parrot is the smallest parrot in Australia and it is common in Far North Queensland. 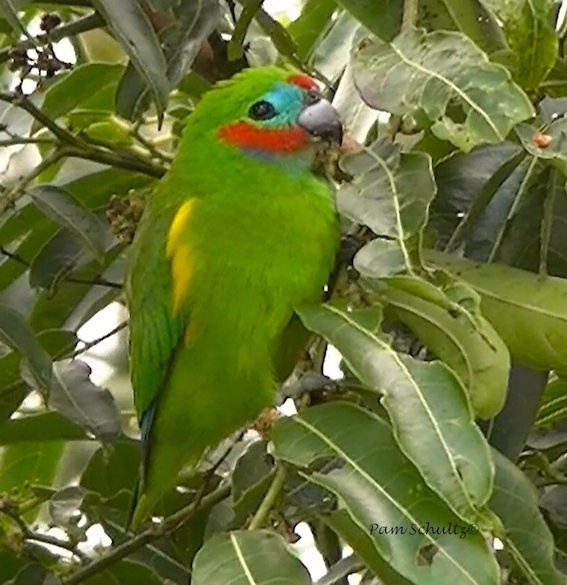 Usually located by zeet-zeet calls and often easy to observe feeding on small figs. They breed between August and December by chewing a nest-hole into dead soft wood about 3-4 m or more high in the rainforest.